In 1968, the Unitarian Universalist Connecticut Valley District sent out a call to all those in the Manchester area interested in forming a new UU congregation – a liberally oriented religious faith. There were articles in local media inviting people to participate. Months of study and organizational meetings followed, and on January 19, 1969, forty-nine persons signed as charter members and the Unitarian Universalist Society of Manchester was born. 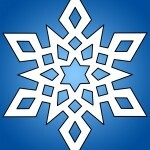 In 1973, the name of the fellowship was changed to Unitarian Universalist Society: East, to reflect the location of members’ homes in several eastern Connecticut towns besides Manchester, including East Hartford, Glastonbury, South Windsor, Tolland, and Vernon. During its first years, the Society held services in rented properties with a part-time minister. The Rev. Arnold Westwood was called as full-time minister in October 1970. 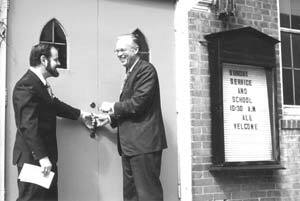 Membership grew, and in March 1977, the congregation bought a four-acre parcel on West Vernon Street. Building began the following year, and UUS:E moved to its new home in September 1979. Membership continued to grow, and, after much study, a schedule of two Sunday services began. In ten years, the congregation expanded again, with a large two-story addition to the north. The Rev. Connie Sternberg began her ministry at UUS:E in 1989. She inaugurated several popular programs such as Build Your Own Theology and Introduction to UUism. During Connie’s ministry, the congregation affirmed that they liked an even split of responsibilities between the minister and members of the congregation. This concept of “shared ministry” and “lay-led services” continues today. The Pastoral Friends group formed in 1996 to help the minister provide care and support to Society members in special need. In April 1999, the congregation voted to become a “Welcoming Congregation,” formally affirming through a UUA program a long-standing commitment to acceptance of gays and lesbians. UUS:E began working regionally on combating racism, joining with other area churches, including the other two UU churches in the Hartford area. Connie Sternberg retired in 2001 and was voted Minister Emerita. The Rev. Joshua Pawelek joined us in August 2003 as our settled minister. Five years later, the congregation again needed more space, and undertook a large study and congregational survey on the topic of growth, after which a capital campaign began to create the lovely building and grounds we enjoy today. In 2011, the congregation has 288 members, and a paid staff of one full-time and five part-time people. The Religious Education program is strong and well-received by parents and children. 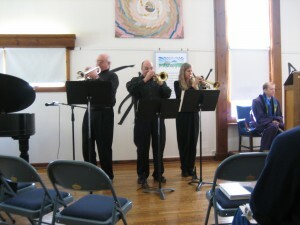 Sunday services are well attended, and the congregation especially enjoys the music program. The society maintains its traditional warmth and caring and takes pride in its commitment to liberal religious ideals and social justice, working with other local congregations on issues such as anti-racism, universal healthcare and gender equity.